If the 'three Rs' provide the basics of education, they also neatly sum up what we have learned about the golfing scene before the final major of 2015. Instead of reading, 'riting and 'rithmetic we should consider Rory, revenge and redemption as the mottos for the 97th PGA Championship, which starts at Whistling Straits on Thursday. 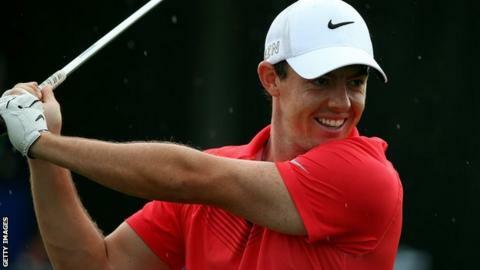 Rory McIlroy has made a stunning return from the ankle injury that threatened to wipe out his competitive summer. The 26-year-old is defending champion and claims he is 100% fit to play the undulating links-style lay-out on the shore of Lake Michigan. The fateful kickabout that led to a ruptured ligament in his left ankle cost him the chance to defend his titles at the Open and WGC Invitational at Firestone. Still world number one, McIlroy hasn't played competitively since the US Open but, remarkably, his return comes less than six weeks after getting injured. He is bolstered by sustained practice in Portugal, and a weekend at Whistling Straits while the rest of the world's best were competing at Firestone. That gives the Northern Irishman a potentially vital advantage. The course is soft, it suits his game and he was third here when Martin Kaymer triumphed in the 2010 PGA. So there are plenty of reasons for optimism. Another is McIlroy's usual foot action, which involves flicking his left foot outwards through impact. Other players roll onto the ankle, and that's where the damaged ligament would have a much bigger role. Watching McIlroy on the range here at Whistling Straits, the strapped joint seems perfectly capable of maintaining the flick that facilitates his weight transfer. How it stands up to the pressure of competition remains to be seen. While McIlroy was in the initial stages of his recovery, Jordan Spieth was coming within a couple of shots of claiming a third major in a row. The Masters and US Open champion bogeyed the 17th and finished a stroke outside the Open play-off won by fellow American Zach Johnson. Spieth wants revenge for that missed opportunity, and this week affords another chance for him to become only the third man after Ben Hogan and Tiger Woods to win three majors in the same year. Jordan Spieth is the youngest player to win the US Open since Bobby Jones in 1923. "I've got a little bit of revenge that I need to get out from having control of the Open Championship with two holes to go and not closing it out," Spieth said. "That leaves kind of a bad taste in my mouth." The 22-year-old finished the WGC Invitational last week with a stylish 66 for yet another top-10 finish and is seeking to maintain the momentum in Wisconsin. "We seem to have nice timing with where we're trending upwards this year," said Spieth, who can take over at the top of the world rankings this week. "Whether that's the plan we put in place or it's dumb luck, one of the two, I'll take it." How Dustin Johnson would love a decisive stroke of good fortune to end his wait for a major title. Were it to come at Whistling Straits, it would provide a perfect sense of redemption. Five years ago he brought a one-stroke lead down the final hole of the PGA here only to blow his opportunity by grounding his club in a bunker to incur a two-stroke penalty. Johnson had failed to heed the notices posted in the locker room which indicated all sandy wastes on this spectacular course were to be regarded as hazards. The same rule applies this year, though the offending spot is now covered by tented infrastructure. Less than two months earlier, a final-round 76 would have been enough for Johnson to win the US Open at Pebble Beach. He contrived to shoot 82 as Graeme McDowell was left as the last man standing. A year later, Johnson was two strokes behind Darren Clarke when he fired a two iron out of bounds on the 14th at Royal St George's to end all hope of winning the Open. Then there were his three putts from 12 feet to miss the chance to win the US Open at Chambers Bay in June. Johnson also led at halfway in the Open at St Andrews before meekly surrendering during the extended weekend on the Old Course. The 31-year-old American's career is littered with near misses in majors, and the latest couple followed a six-month absence from the game to confront "personal challenges". No player has a more compelling back story as he strives to claim his first major title. Then again, the backgrounds to the challenges of McIlroy and Spieth also generate huge fascination. To date, the 2015 majors have been thrilling - the Masters and US Open were won in astonishing style by Spieth, and the Open was a classic at the 'Home of Golf'. And with the 'three Rs' dominating the pre-tournament agenda at Whistling Straits, there's every reason to believe the PGA will be just as exciting.